She said he told officers he does have a firearm on him - because he's licensed to carry - but said he wasn't going to grab it but was reaching for his wallet in his pocket. It has applauded activism using Facebook's platform but never actively placed it in front of users. "We've made a judgment in this country that we're OK with police shooting people". It noted that Johnson's Facebook page referred to Richard Griffin of the rap group Public Enemy, aka Professor Griff, who the department said "embraces a radical form of Afrocentrism". Spiller and Gary Thomas, DART's president/executive director, talked about Thompson and the violence in Dallas in appearances Friday on CNN's "New Day". He says the nation can't tolerate "a lynching in the 21st century by someone wearing a blue uniform". Marguerite Gordon, a 42-year-old restaurant owner, was among those who sprawled on the plaza in front of the police department. Police say Sterling was armed and a witness said he had a gun in his pocket. McMillon focused on Sterling's smile, saying people knew he was a "good, genuine man". The Army released a portion of Johnson's service record that said he enlisted in March 2009 and served in the Army Reserve until April 2015. 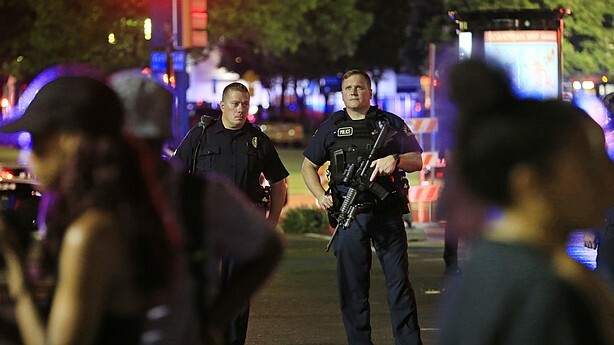 During lengthy negotiations with police, the gunman told reporters he was angry about the Louisiana and Minnesota killings, Brown told reporters. Instead of tweeting and using "hashtags", Kim urges everyone to reach out to local legislators to find justice for all the victims of alleged police brutality-not just the most recent. "My heart goes our to the Castile family and all other families who have experienced this kind of tragedy", said Zuckerberg. "Once the investigation is complete, the BCA will turn its findings over to the Ramsey County Attorney's Office without recommendation for review under Minnesota statutes". Police cars remain parked with the pavement marked by spray paint, in an aerial view of the crime scene of a shooting attack in downtown Dallas , Texas, U.S. Hashtags #PrayFor Dallas , #BlackLivesMatter, #Castile and #Sterling trended globally. Omar Cannon, 44, Misty McBride, 32, and Jesus Retana, 39, are three other mass-transit officers who were injured during the attack.